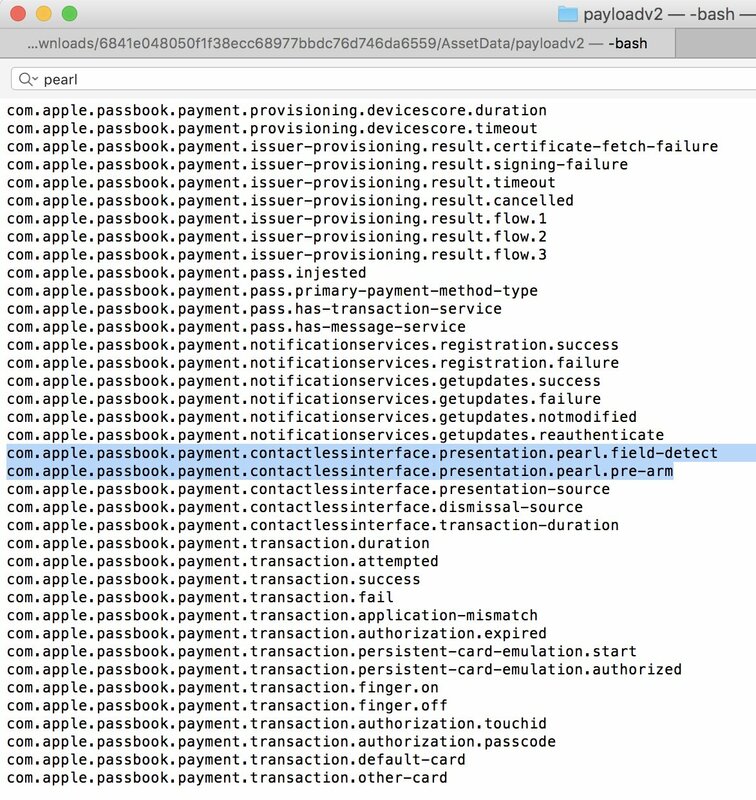 Earlier this week, iOS developer @r_idn uncovered evidence from the accidentally released HomePod firmware that Apple’s iPhone 8 may permit users to authenticate Apple Pay transactions with a face scan instead of through a fingerprint. He found a pair of strings in the HomePod code, “pearl.field-detect” and “pearl.pre-arm”. The strings refer to “Pearl ID”, which is Apple’s internal code-name for a new facial recognition system that was recently discovered in the firmware for the company’s wireless speaker. Although the word “pearl” is only mentioned in conjunction with Apple Pay presentation, not authentication, this is still exciting news. Assuming iPhone 8 lacks Touch ID, it can be speculated that Pearl ID provides the same level of security and failure rate as Touch ID. It has to be that good or banks would not permit the company to use a less-secure system for payment authorization with Apple Pay. On the flip side, however, “Pearl ID” and “Touch ID” both appear in the code pictured top of post, which could either mean that iPhone 8 will use both or those mentions could be there for the sake of compatibility, as a fallback mechanism on devices without Pearl ID. 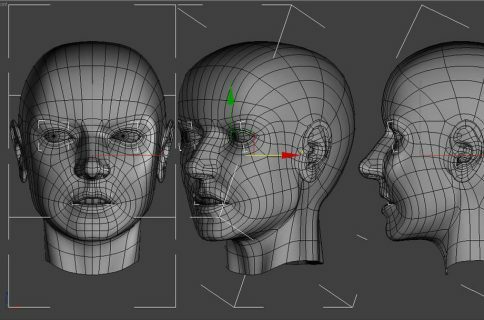 Don’t confuse iPhone 8’s advanced facial recognition with Galaxy S8’s facial scanner which can be tricked by a photo of the device owner. Galaxy S8 analyzes video captured with its front camera to recognize faces, which doesn’t work great in poorly-lit environments. 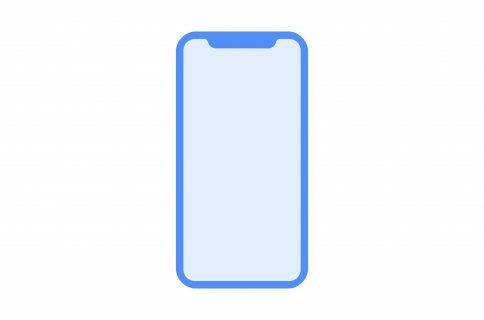 By contrast, iPhone 8 is said to use an advanced 3D-sensing chip custom-built by PrimeSense engineers who helped create the Kinect sensor for Microsoft’s game console. 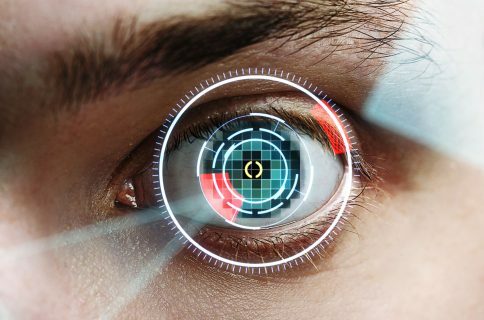 Located next to both the device’s front and rear cameras, the sophisticated sensor is though to use friggin’ lasers—an infrared transmitter, an infrared receiver and time-of-flight measurements—to create a 3D mesh of your face and surroundings. The sensor is said to shoot light at various angles, measuring the time it takes the invisible light to bounce off object surfaces. As such, this iPhone 8 technology is believed to be capable of recognizing people’s faces in both light and dark-lit environments with uncanny precision without requiring the user to hold the phone in front of their face and stare at the camera.